Perhaps one of the most devastating and enduring consequences of an eating disorder is the isolation and loneliness experienced by the affected person. Eating disorders both create and thrive in isolation. Making the presence of collaborative and supportive relationships an integral part of the healing and recovery process. Knowing this, I was thrilled to learn that this year’s World Eating Disorder Action Day theme is #WeDoActTogether, which highlights the importance of creating and maintaining relationships in recovery. For me, isolation, shame, and loneliness contributed greatly to my eating disorder. 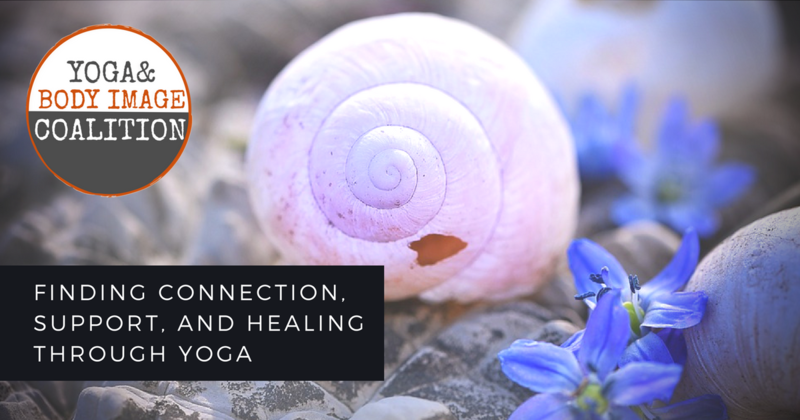 It was only when I started my yoga practice that I was able to find a connection back to my true self, drop the identity tied to the eating disorder, and begin to create supportive relationships that have been integral to my journey of healing and recovery. 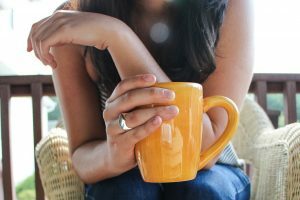 Like any stay-at-home mom of a preschooler, toddler and infant I was already somewhat isolated when my undetected postpartum depression developed into an eating disorder. You could say it was the perfect storm of genetic predisposition, life circumstances and isolation that caused me to first develop an eating disorder at the age of thirty-four. Within this isolated environment the eating disorder thrived, creating further disconnection from self and others. The isolation persisted well after I received a diagnosis and began treatment. Even though close friends and family were aware of the eating disorder and were doing their best to be supportive, I still found it extremely difficult to be in social situations. You see, the voice of the eating disorder is cruel and relentless. It is a voice on endless repeat that tells you that you are a failure, not good enough and clearly no one else would want to be around you. Believing the eating disorder, you decide everyone is better off if you keep to yourself. After all, you have nothing of significance to contribute to any social gathering. No one really wants you there, not like this. There are times when you manage to push those thoughts aside and consider accepting your friends/family invitation only to find the worries about food set in. Because how many times do we gather with friends and family without food being a central focus of time spent together? Enter the barrage of thoughts: “What is going to be served?”, “Will it be a food the eating disorder deems acceptable for me to eat?” “If not, how will I manage the anxiety of trying to eat that food?“ “People know about my disorder…will they be watching how little or how much I eat?”. These thoughts often cause such severe anxiety that you choose the “easy way” and decide to stay at home. Initially you feel relief as the anxiety dissipates. But later that evening or maybe the next day, the thoughts and feelings of regret start to creep in. You miss your friends, you worry they will think that you no longer value their friendship and will decide that being your friend is no longer worth their time and effort. Then there are moments when you have some clarity, your voice drowns out the eating disorder voice and you realize that being with friends and family is exactly what you need. However, once you arrive you find that the anxiety is more than you expected, you are even more consumed by the eating disorder thoughts. You are unable to enjoy yourself, to be truly present and connect with the people there. Either way, no matter what you choose, the result is further isolation, loneliness and dependence upon the one thing that appears to give you moments of relief and ease, the eating disorder. With eating disorders having the highest mortality rate of any mental illness, we often hear about the devastating and frightening health consequences of the illness. What is not often spoke of, however, is the loss of connection to self and others, the loss of presence, awareness, and joy for the affected person. If you have ever heard someone say, “An eating disorder is about the food but not really about the food” this is what they are talking about. Eating disorders affect the whole person, mind, body and spirit. Making it equally important to help those affected by eating disorders to find ways to reconnect with themselves and others as it is to get the body back to a place of health and wellness. This is where yoga can play an integral role in the recovery process. Yoga helps to create a stronger connection with yourself, vitally important in eating disorder recovery as it can be difficult at times to distinguish between your voice and the voice of the eating disorder. As I shared earlier, the voice of the eating disorder can be strong and powerful. Awareness of what thoughts and behaviors are fueled by the eating disorder is essential in working against the eating disorder voice and making choices from a place of health and recovery. 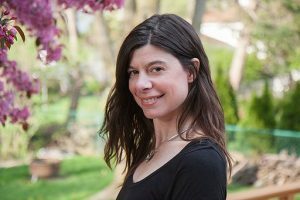 Yoga taught me to discern between my voice and that of the eating disorder. Yoga connected me to the innate wisdom that resides in me, in all of us, that knows I am already enough, just as I am. As I reconnected with myself, I witnessed my ability to be truly present and connect with others strengthen as well. Through my yoga practice I found a community of people who were on a similar path. People who were committed to a path of healing through presence, awareness, and self-study. I had found a community that held space for my self-inquiry and healing. My fellow yogis supported and acknowledged my growth and successes. They also gently and lovingly nudged me, held me accountable when they saw me making choices not in alignment with my recovery. Through the practice of yoga I developed authentic and supportive friendships. This is not to say that I do not have amazing friendships with people who do not practice yoga, that one can only find this type of support and healing by practicing yoga or that everyone who practices yoga is on a path of healing and self-discovery and therefore will be a supportive friend. That simply is not true. However, what I can tell you is that whether they are practicing on the mat next to me or are a text away, like my people in the YBIC community, I know my yogi friends have my back. Through their own commitment to self-study, presence and awareness they are more able to be present for me. So, when I waiver for a bit, they help to remind me that I am already enough, just as I am, that I am stronger than the eating disorder. And that, right there, has been key to my healing and recovery.